Brian has been a spiritual healer for the last 25 years, he is a gentle and compassionate man who strongly believes everyone has the ability to heal there self and take control of their life. He does not believe anyone need suffer emotional or physical pain unnecessarily and helps to empower individuals with exercises and healing tools to help them on their path, and maintains the highest standard of professionalism in regard to the therapies he practises. As a Reiki Master Healer and Teacher, Brian has trained and initiated people into Reiki as far away as New Zealand. Brian has written several articles for health magazines on reiki healing. And maintains the highest standard of training to help individuals work with Reiki for personal or professional therapy use. People from all over Ireland and Europe are attending Brian's Reiki Training courses because of his reputation in helping the reiki healers reach a high professional standard. Brian has been teaching Reiki healing since 1999 and has trained in over 2,500 healers. Brian also works within the Christ Consciousness energy and with the Angelic Realm which helps facilitate the Client's own path to Self-Enlightenment and divine spiritual awareness. Brian also works with healing crystals and has great success in helping individuals alleviate physcial and emotional pain in their lives. Brian is very meticulous in his healing work with crystals and combines both intuitive and innovative techniques to balancing the energies of the human energy system. Brian has always sought his own truth and real Self on his path. Through his own experience has a deep understanding of both the sceptic and believer within us. He is very universal in his approach and has a deep respect for anyone of any religious or personal beliefs. 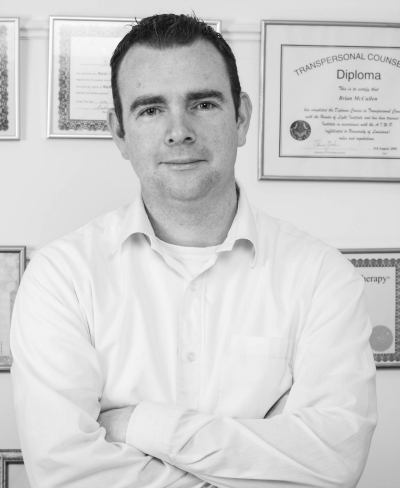 Brian has tested and undergone as a recipient himself all therapies he practises.